The EMERISDA project takes 3 years (until 31/01/2017) and is divided into six work packages. In each work package a lead partner and participating partners are defined. The overall management and co-ordination is done by the BBRI (WP1). The project starts with the collection and exchange of knowledge (WP2). 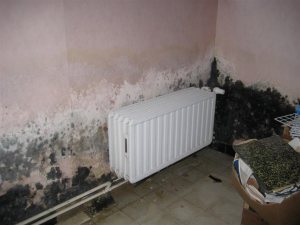 The main objectives are to obtain an overview of existing solutions against rising damp and their expected effectiveness and to define procedures and criteria for the evaluation of the effectiveness of the interventions in-situ. Together with this, case studies and scale models are studied (WP3, WP4). The main objective of work package 3 is the assessment of the effectiveness of the different methods against rising damp when applied in-situ. In this work package case studies will be investigated, making use of different research approaches, going from interviews to assess users’ satisfaction, to in-situ application of the different methods and in-depth research on their effectiveness. The main objective of work package 4 consists in assessing the effectiveness of different methods against rising damp on scale models. The scale models constitute an intermediate level between the laboratory and the field application. On scale models it is possible to control some side conditions (as moisture supply), apply novel methods against rising damp with still unknown effects without risk of damage to cultural heritage and carry out a series of (little) invasive investigations. Scale models are, because of their size and complexity, more reliable than small laboratory specimens. After 2 years a final evaluation of effectiveness of methods takes place (WP5). The main objectives here are to bring together the results from WP2,3 and 4 and define an evaluation of the effectiveness of different methods against rising damp and to develop a decision support tool to support a conscious choice and application of methods against rising damp. From the beginning dissemination of information takes place by this website, newsletters and by the organisation of a workshop at the end of the project (WP6).